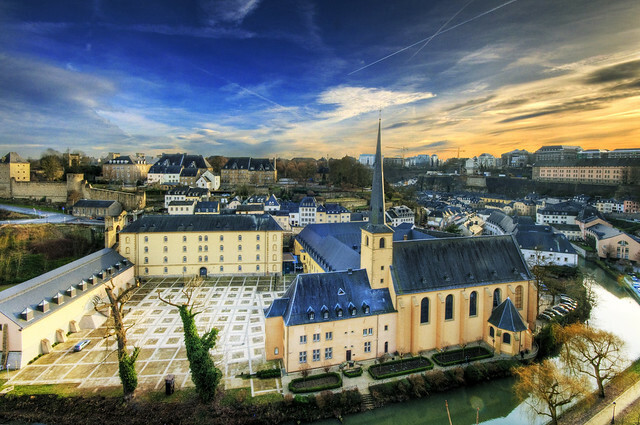 An itty bitty country tucked into the heart of Western Europe, Luxembourg is a luxurious destination. 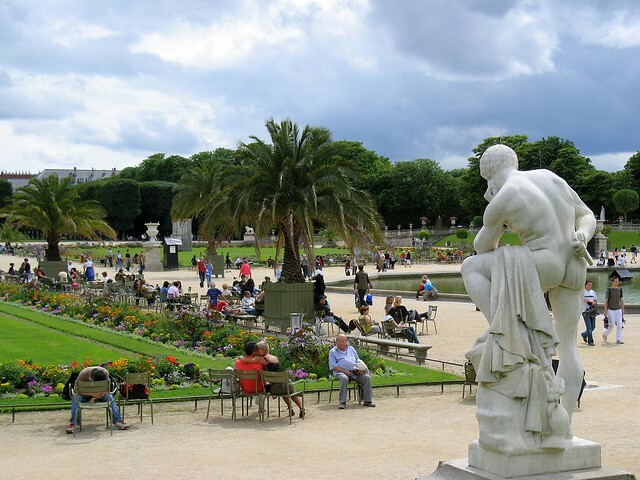 Imagine rolling hills covered in grape vines, stone castles and fortresses squatting on mountainsides, and a modern, busy capital city filled with tiny cafes for sipping coffee. The national language is Luxembourgish, a Germanic language rarely heard outside the borders of Luxembourg. Luckily, French and German are also widely used; French is the common language for road signs, menus, etc. But learning a couple words of Luxembourgish (even though you’re unlikely to need them) is a fun way to make local friends and delve deeper into the unique culture of Luxembourg. It is a country where you could easily spend your days sipping wine, sampling cheeses, hiking, and exploring castles – Europe at its finest. 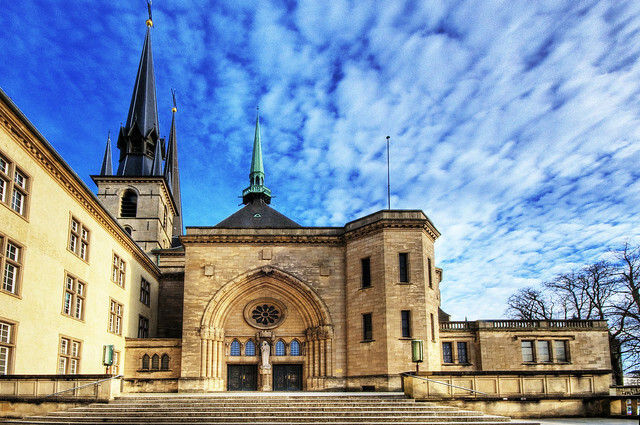 The cuisine of Luxembourg combines the best of the countries that surround it: Germany and France. You can sample sausages and potatoes, rich local cheeses, and delicate pastries. Little plum tarts called quetschentart are an early autumn favorite when plums are at their best. Elegant but delicious dishes like trout in Riesling sauce make use of local ingredients to highlight the best of the region. The national dish is smoked pork covered in cream sauce, a truly decadent combination usually accompanied by potatoes to soak up any extra sauce. Carnivores can try liver meatballs with sauerkraut or jellied suckling pig. Vegetarians will do well to stick to the unique local cheeses and abundant fruits and vegetables in the summer. 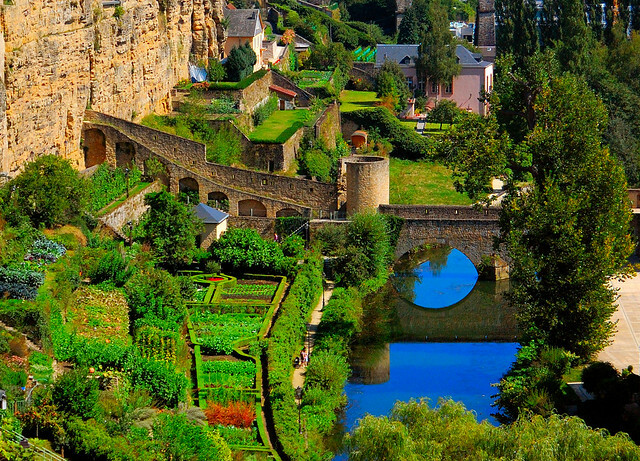 Skip the crowds at the Eiffel Tower and the most famous German castles and step into Luxembourg for a romantic getaway. Vibrant green mountains, endless valleys, wine country, and castles create the perfect atmosphere for a luxurious trip. Consider a trip in the autumn when the majestic castles are flanked by the reds, oranges, and yellows of trees just before they shed their leaves. Spend warm days strolling castle gardens and cool evenings with glasses of red wine or mugs of mulled cider. Need a little extra help relaxing during your trip? Book some time in the thermal waters of Mondorf-les-Bains. Soak in the mineral waters of the luxurious spa the town is known for. Try a couples’ massage for a little togetherness and relaxation. Or slip into a Turkish bath. For the adventurous couple, how about lava-stone therapy? At the end of the day, you’ll feel refreshed and ready for a candlelit dinner or a cozy cup of tea and a nap.